CARFAX 1-Owner. Moonrock Silver Metallic exterior and Titan Black interior, 1.8T SEL trim. 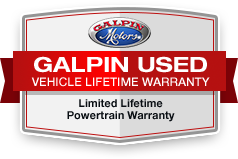 Navigation, Sunroof, Heated Seats, Onboard Communications System, Keyless Start, Smart Device Integration, CD Player, Back-Up Camera, Alloy Wheels, iPod/MP3 Input, Satellite Radio, Comes with Galpin's Lifetime Used Car Warranty, CARFAX 1-OWNER.